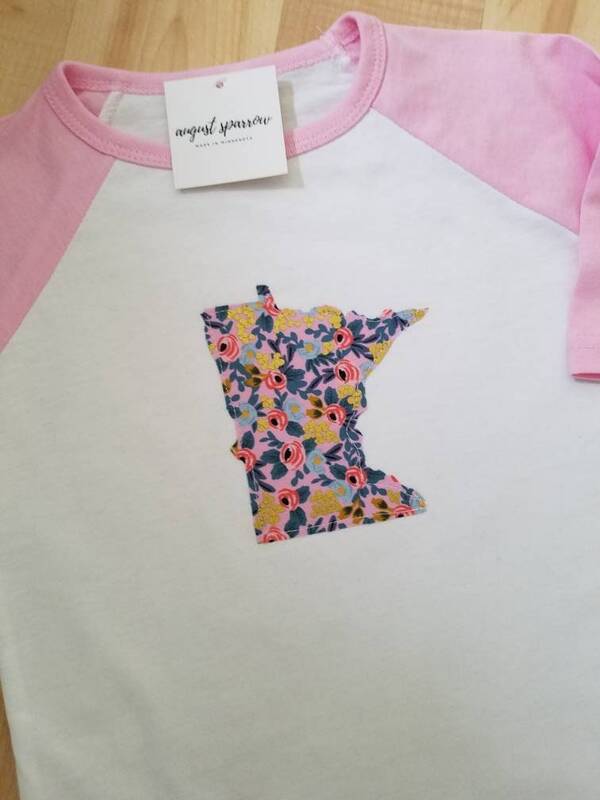 Minnesota machine appliqued 3/4 sleeve toddler raglan shirt. I accept direct payment through etsy using your credit card and PayPal. 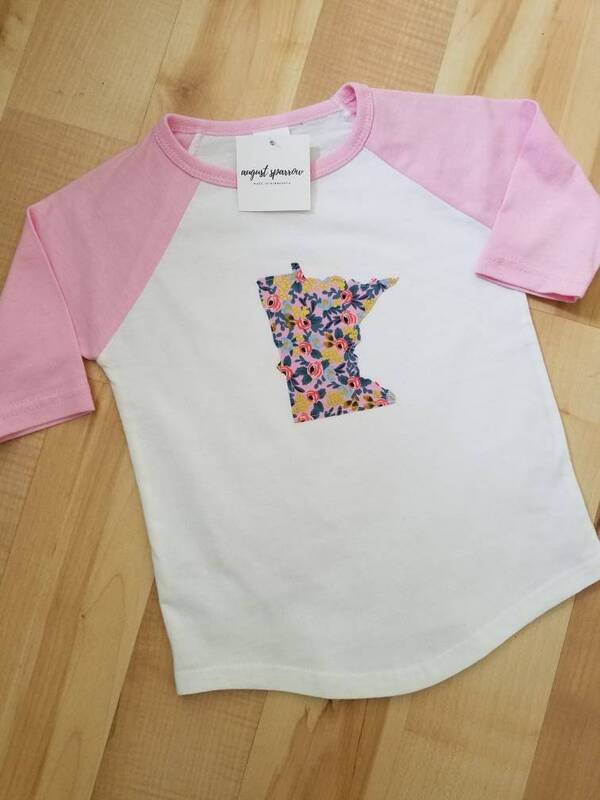 If you live in Minnesota I do charge the sales tax rate of 7.275%. If you are not satisfied with your purchase- please let me know within 5 days of recieving it. If the item is returned you are responsible for shipping charges. Custom Items are not returnable. All of my items are handcrafted & a lot of them are made to order. The materials may differ a bit from pictures, but the quality is the same! If you have any questions, please ask before you purchase.